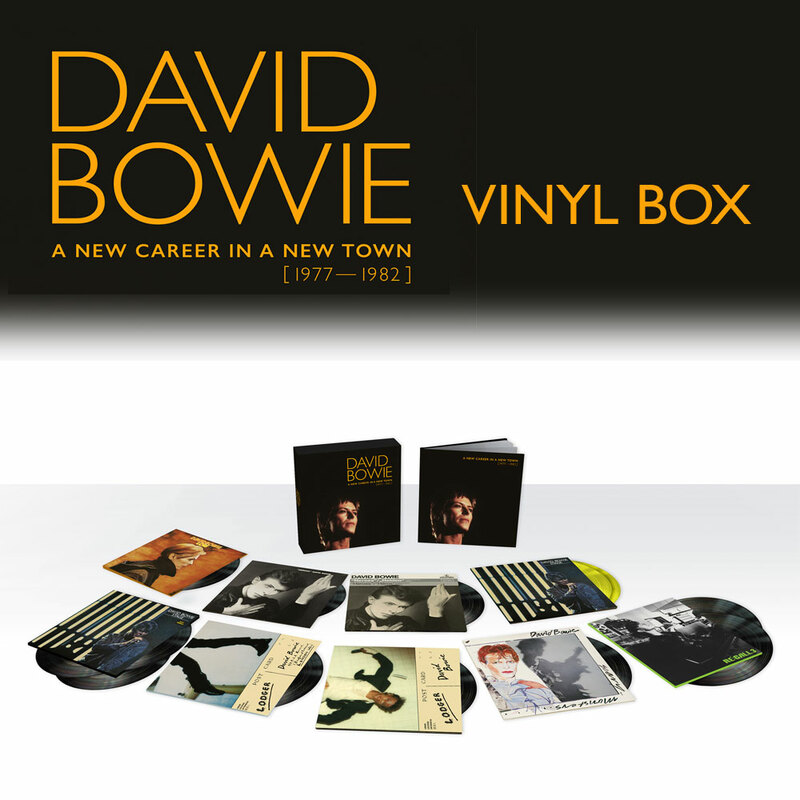 Parlophone Records are proud to announce DAVID BOWIE ‘A NEW CAREER IN A NEW TOWN (1977 – 1982)’, the third in a series of box sets spanning Bowie’s career from 1969. The box set, named after the final track on side one of ‘LOW’, includes ‘LOW’, ‘“HEROES”’, ‘STAGE’ (ORIGINAL and 2017 VERSIONS), ‘LODGER’, ‘LODGER (Tony Visconti 2017 Mix)’, ‘SCARY MONSTERS (And Super Creeps)’ and ‘RE:CALL 3’. Finally we have the ‘“HEROES”’ E.P., which rounds up the German and French album and single versions of the track in one place for the first time, a compilation exclusive to the set celebrating the 40th anniversary of the song. Exclusive to each of the box sets is ‘LODGER (Tony Visconti 2017 Mix)’. The remix was started with David's blessing before his passing in January last year. Tony Visconti has revisited the original multi-tracks at Human Studios and remixed the album with the benefit of modern technology to better highlight the album’s nuances. Always a personal favourite of David’s, this version of the album will also feature newly 'remixed' artwork featuring unseen images from the original cover photographic session from the archive of the Estate of photographer Duffy, working closely with his son Chris. Also exclusive to each box is ‘Re:Call 3’, a new compilation featuring remastered contemporary single versions, non-album singles and b-sides, and songs featured on soundtracks. The cover features a photo by Christian Simonpietri taken at Hansa Studios in Berlin during the ‘“Heroes”’ sessions in 1977. The ‘Baal’ E.P. in its entirety is making its CD debut while ‘Beauty And The Beast’ (extended version) and ‘Breaking Glass’ (Australian single version) are making their debuts on CD and digital formats. ‘Beauty And The Beast’ (extended version) is available as a digital download upon pre-order of the box set. This version of the ‘“Heroes”’ album track is making its digital and CD debut having previously only been available on a rare US promo 12” and as a limited 12” release in Spain. The physical box set’s accompanying book, 128 pages in the CD box and 84 in the vinyl set, will feature rarely seen and previously unpublished photos by photographers including Anton Corbijn, Helmut Newton, Andrew Kent, Steve Schapiro, Duffy and many others as well as historical press reviews and technical notes about the albums from producer Tony Visconti. NB Lodger (Tony Visconti 2017 mix) is not included in this digital box set.